This is a dressing I’ve been making for years that never disappoints. 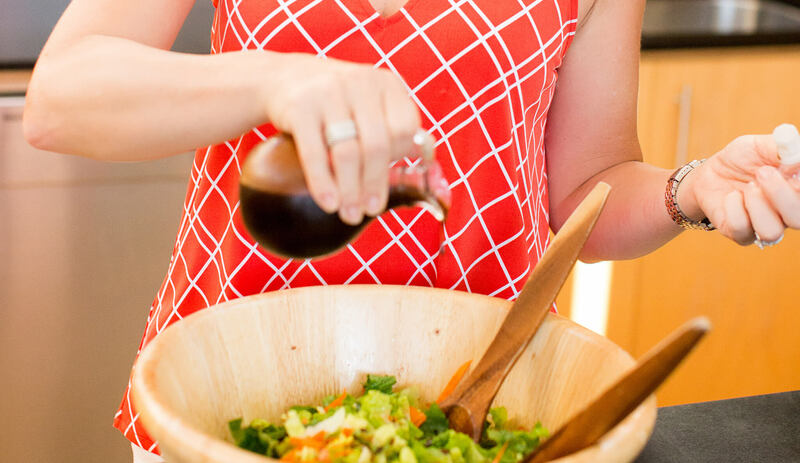 I started making my own dressings after discovering that most prepared dressings available at the grocery store have questionable ingredients and usually contain oils like soy and canola, most of which are genetically modified and rarely organic. It’s easy to make up a batch of this and keep it on hand. After making it a few times using the recipe, change the amounts for variety. For example, add more Dijon mustard for a tangier flavor. This is a great dressing for any green salad or on tomatoes and mozzarella sprinkled with basil. Combine garlic and salt in a pint size mason jar and mix to form a paste. Add all other ingredients, cover with lid and shake to combine. Store in refrigerator. Make sure to use a reputable brand of olive oil as some are not pure even though labeling laws allow the producer to claim that they are 100% olive oil. I like Bariani Olive Oil for its flavor and because I know it comes from a family owned company in California. I also like Bariani Balsamic Vinegar for the same reasons. It’s a little thicker and sweeter than other brands. 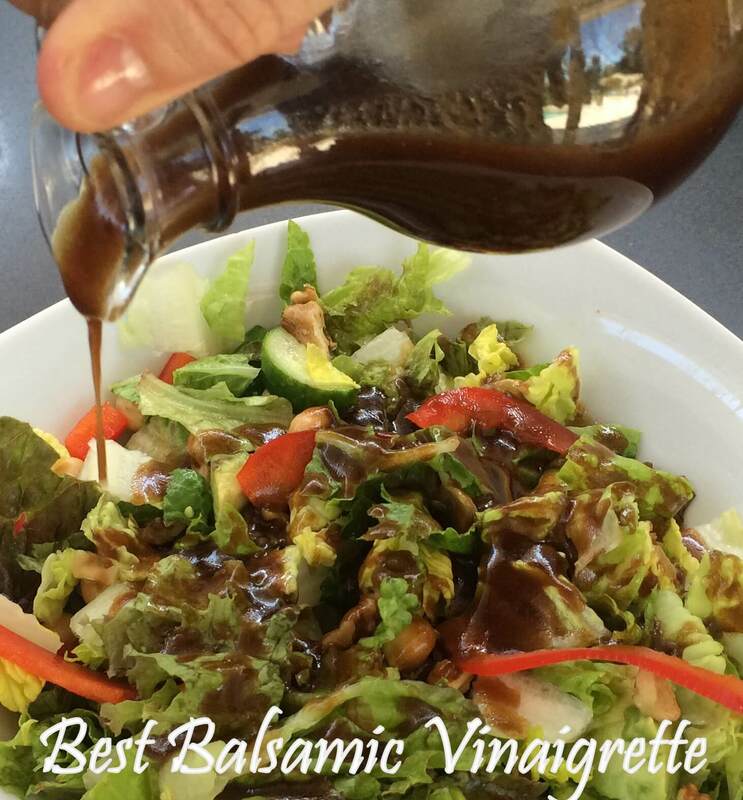 The dressing is always better when I use this balsamic vinegar. I am grateful to be of service and bring you content free of charge. In order to do this, please note that when you click links and purchase items, I may receive a small commission. You will not pay more when buying a product through my link. In fact, I oftentimes am able to negotiate a lower rate or bonus offer not available elsewhere. This helps to cover the costs for this site. I appreciate your support!